First off this month, Congratulations to Richard for a successful refloating from drydock, where some defective engine-room tubing was attended to. Further congratulations are called for, for the recent roll-out of his strikingly-restored Sopwith, see photo below: a Bike of the Month if ever there was! We look forward to a Rider's Report in due course. To return to our Machine of the Month, Richard has a few unresolved issues. (i) Because of fitment of the Bob Thomas-style Pilgrim oil pump on the timing chest cover, normal valve-lifter gear cannot be employed. Are longer arms an answer? Does anyone have experience of this? (ii) Is the steering head the only location for an ABC transfer? 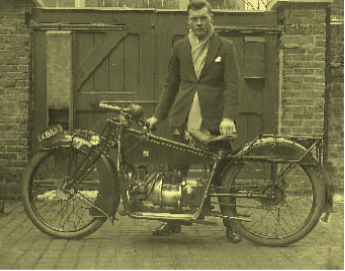 (iii) Was a chainguard ever fitted as original equipment? And if so, How was it mounted? Please copy me on any replies to Richard, as potential fodder for a future Newsletter. By chance I recently came across a website about the Hobson company, makers of the celebrated Claudel-Hobson series of carburettors. Briefly: Hobson started in 1903, principally as a marketing company, initially for bicycles. This expanded into the field of motor-transportation: they became agents for Pognon sparking plugs, Jenatzy tyres, and "La Perfecta Non-Skid Device". In 1908, during a visit to France in connection with the Pognon business, contact was made with a M. Claudel, who was making cars, with his own superior design of carburettor. Hobson secured manufacturing rights to the carbs., and started fitting them to existing cars as performance upgrades. In 1910, a special aluminium edition was made for an aeroplane: its ensuing success led to purchase of a factory that in 1911 became the Accuracy Works, Wolverhampton, for its production. The company prospered mightily during WW1 with the supply of aircraft carbs., and it must surely be possible that contact with the Sopwith Aircraft Co. played a role in that company's choice of carbs. 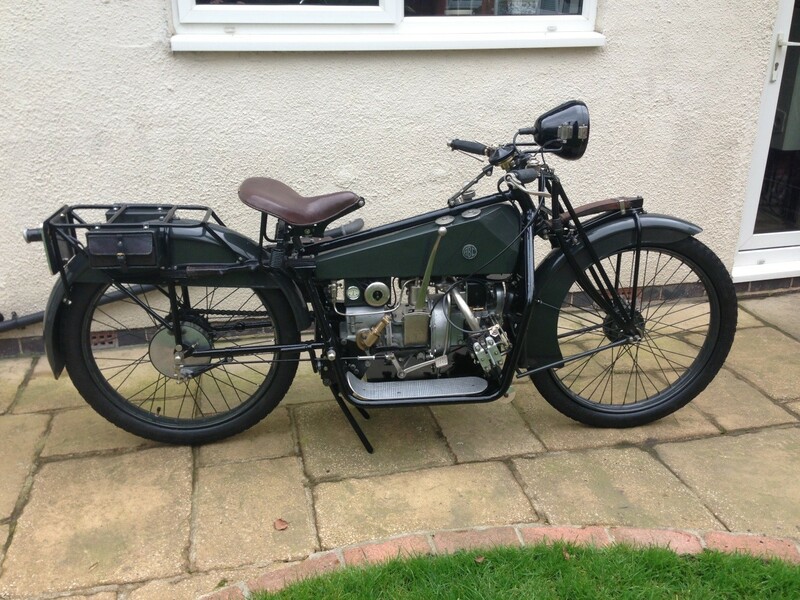 for its new motorcycle product line in 1919. M. Claudel was apparently a brilliant but somewhat erratic designer, and was supplanted soon after this time. The only quirk, to me, is in the name of the product: why wasn't it called a Hobson-Claudel? Keith visited the April Stafford Show last Sunday. If there was any ABC stuff there, he said, it must have been snapped up on Saturday. On a slightly different note, it does seem that ABCs are regarded these days more as curios and museum exhibits than as serious roadworthy motorcycle transport. It's up to us to help put that right! On yer bikes, boys! We have to fly the ABC flag a bit more! Behold Richard's restoration! It has taken him three years, so far. The dynamo has yet to be fitted, and front number-plate. The leather-covered springs are a feature that Richard has retained. Note the André steering damper, a classy touch! This photo of a rather surly-looking man-with-Sopwith reputedly shows Edward Turner, later of Ariel Square Four and Triumph Speed Twin fame. A pity that he didn't stick with ABC? I'm not sure. Circulation of this Newsletter is 17. There are no changes to the Membership List.